The process of working on real projects for real clients is essential to the student experience at the Segal Design Institute. Browse our projects gallery to see examples of past projects. 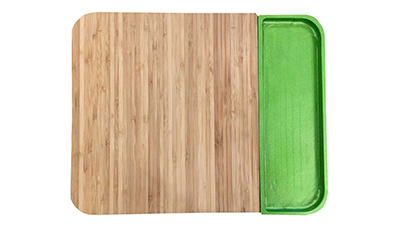 A cutting board with a side storage bin that can double as a cutting board when flipped. A team of students found that home chefs have difficulty using cutting boards due to limited countertop space. Flip offers a space for the user to cut their food and push the items they are saving or discarding into a bin. 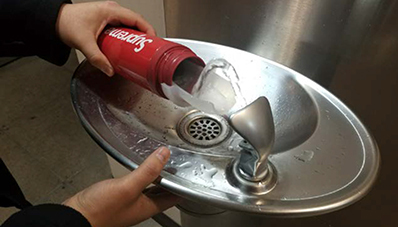 Fountain Flex, a sleeve and funnel, allows users to easily fill water bottles. It can difficult to refill a water bottle due to issues with water pressure, shallow basins and bottle sizes. 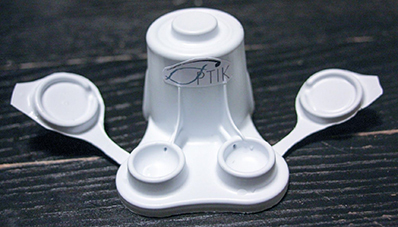 With Fountain Flex, users can easily attach a funnel to the rim of a bottle. A multi-functional public seating piece that allows one or multiple users to work or relax. 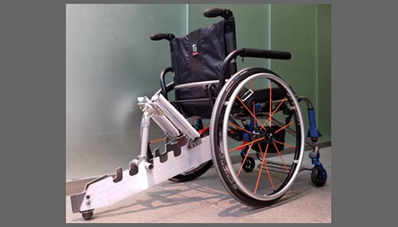 Tired of sitting on the ground outside or leaning on walls around campus? 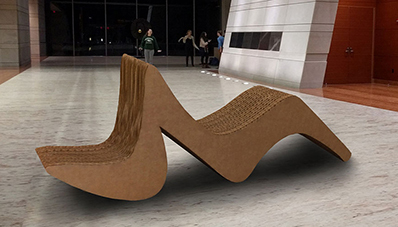 This human-centered, multi-functional public seating piece improves comfort in public spaces. Get the care you need without leaving your bed. 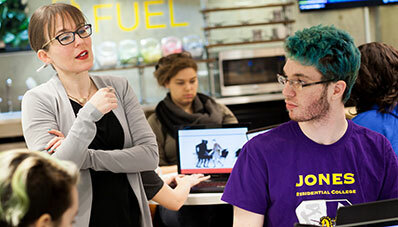 Four EDI students created a forward-thinking solution after Northwestern Medicine asked them to create a virtual care system that would increase the ability of its Primary Care Physicians to see more patients. 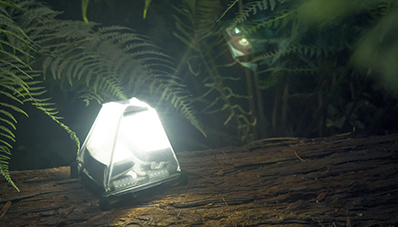 A versatile and ultra-lightweight camping lantern for outdoor adventurers. While camping, biotechnology graduate student Stephanie Wiegel discovered a ‘pain point’ associated with her headlamp. A headlamp is essential for camping and hiking to ensure safety in the dark, but it has a spotty, harsh light which limits its uses for social lighting. How might this tool be improved? 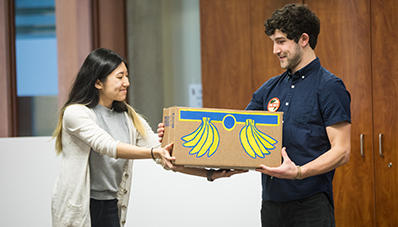 EDI students designed new ways for Feeding America to get food into the hands of those who need it most. Feeding America charged students to create new strategies to rescue foods from retail and bring those goods into the Feeding America ecosystem. Students tested ideas in the marketplace by visiting food banks, retail store, and various public venues to gather firsthand feedback. A PhD student's work aims to understand the intersection of audience interactivity and canonical cultural products. Creating meaningful audience experiences by evoking elements of new digital media forms. 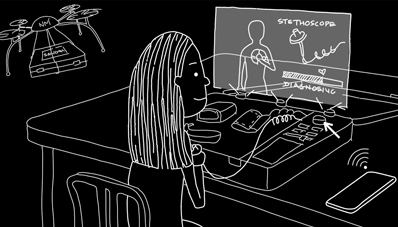 As a complementary experiment in critical making, Elizabeth is designing and building Something Wicked, a video game adaptation of William Shakespeare’s gory, witchy tragedy, Macbeth. 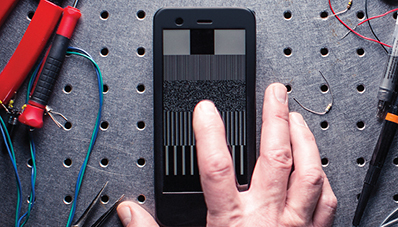 A PhD student in the Neuroscience and Robotics Laboratory (NxR) designs, builds, and tests devices that provide haptic feedback on surfaces. 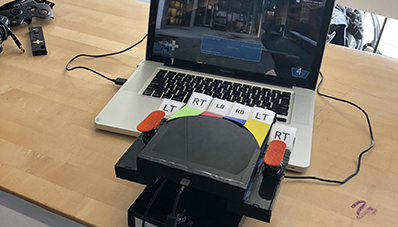 We have built and distributed over 75 surface haptic devices to university and corporate researchers and designers and they have been used in competitions, workshops, classes, and publications. A PhD student works with Collablab and Delta Lab to develop visualization of audio by applying a computational model. 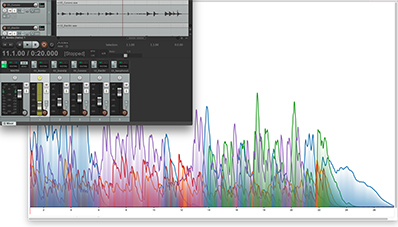 Creating visualizations of audio for multitrack audio. His work helps audio engineers more efficiently mix multitrack audio, but the concept of visualizing models of perception extends beyond this application, and beyond just sound.